Duncan Toys’ mastermind Augie Fash shows off the Metal Racer, another budget metal yoyo from Duncan designed for specialty play at mass market prices. Yoyo used is the Duncan Toys Metal Racer. 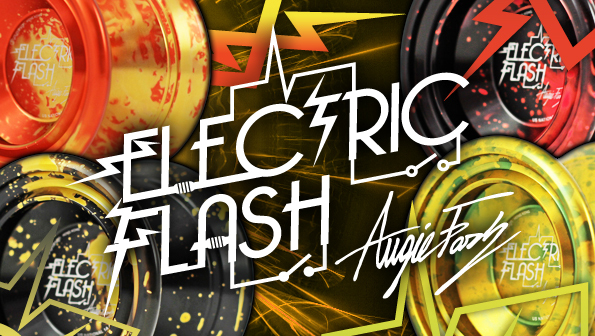 Chen Gung from Team C3 China breathes some new life into the Electric Flash, the signature yoyo of former C3YoYoDesign team member (and current Duncan Marketing Coordinator) Augie Fash. Great tricks and top notch production value, just as we’ve come to expect from C3YoYoDesign! Yoyo used is the Electric Flash by C3YoYoDesign. Duncan is finally retiring the Freehand MG (and at a doorbuster price of only $100 each on their website! ), and Augie Fash has released his first counterweight video in a while to celebrate! 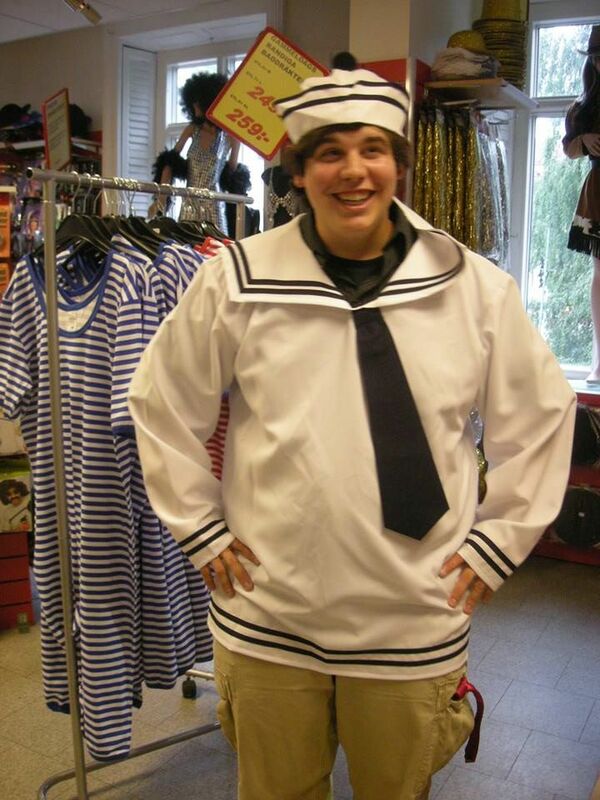 Duncan Toys Announces New Sales & Marketing Coordinator Augie Fash! 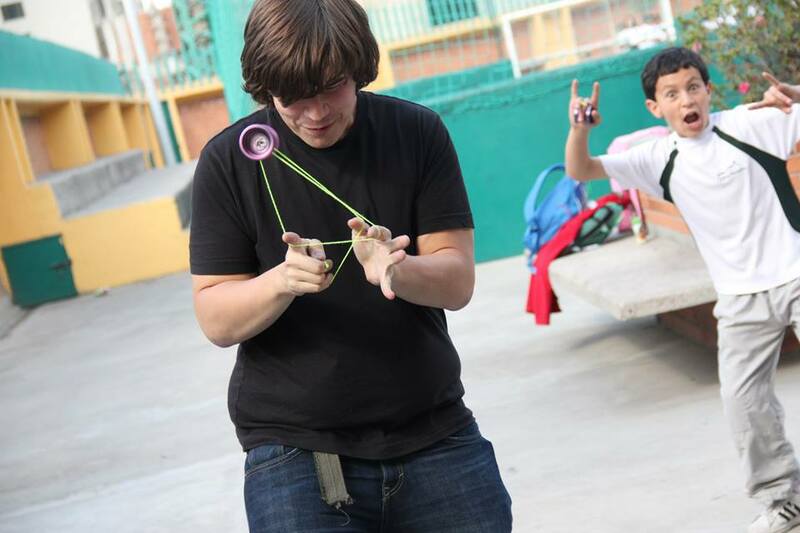 Duncan Toys has announced their new Sales & Marketing Coordinator is US National YoYo Champion Augie Fash! Augie has resigned his position with C3YoYoDesign, and will be starting at the Duncan office in Middlefield, OH next week! A HUGE congratulations to Augie…we look forward to seeing what he’s able to accomplish with the Duncan brand. Check out the full press release below. Duncan® Toys, a division of Flambeau® Inc., has hired industry recognized Augie Fash to be its Sales & Marketing Coordinator. Augie will be responsible for marketing and sales support, team management, and assisting with Walt Disney Parks and Resorts Alliance initiatives. Augie comes to Duncan with a wealth of “yo-yo industry” experience, most recently serving as a demonstration team member for Hong Kong based company C3 YoYoDesign. While North America is Duncan’s core region, Duncan markets and sells to over (25) different countries wordwide. Duncan also has yo-yo demonstration teams in (12) countries. Augie’s leadership will aid in immediate improvements and efficiencies in communication, team development, and domestic and international promotions. Follow Augie on his first Duncan / Disney tour this August through September, from Walt Disney World (Orlando, FL) to Disneyland (Anaheim, CA). The Duncan 85th Anniversary Celebration Tour will span (10) U.S. cities, include community events, Radio Disney entertainment, and Duncan skill play excitement. Visit www.yo-yo.com for more information on the history of Duncan Toys, information about the current Duncan product line and upcoming events, or call Duncan Toys at Flambeau, Inc. at 1-800-457-5252. Building on “The Original. World’s #1” yo-yo, Duncan is focused to be the brand leader in high quality toys for learning and fun. Duncan Toys Company and its parent company, Flambeau, Inc. are members of the Nordic Group of Companies. Nordic Group of Companies, Ltd. (headquartered in Baraboo, Wisconsin) is a privately-held holding company consisting of subsidiaries with 22 facilities, and 24 marketing units around the world with over 2,400 associates. Nordic Group member companies manufacture and distribute plastic, seating and transportation products worldwide for industrial, commercial and consumer markets. For more information or catalog, write Nordic Group of Companies, Ltd., 715 Lynn Avenue, Suite 100, Baraboo, WI 53913 USA or visit www.nordicgroup.com. Augie Fash is a name that most yoyoers will instantly recognize, partially because he’s been yoyoing for so long but mostly because he has serious skill and is (in my opinion) one of the best yoyoers of our time. Sponsored by C3YoyoDesign, Augie competes, releases killer clip videos and generally inspires many with both his attitude and tricks that I genuinely wish I had the ability to come up with. Augie agreed to do an interview and we talked Spindox, tricks, his new signature throw and more! Augie, thanks for doing an interview! You’ve been yoyoing for over 15 years now and have several 1st place titles and signature yoyos to your name. Not only that, but you are one of the most well-known faces in the yoyo community. How did it all start? I started playing yoyo in the 5th grade. I randomly found a Klutz yoyo and book kit in a teaching store while my mom and brother were out shopping. I pored over the book and started collecting every yoyo I could find. We didn’t have internet back then, so I would scour every store we went into, trying to find spare strings, and any sort of yoyo material I could get my hands on. I read and watched everything I had so often, I literally had a lot of books and video material memorized by heart. For example, I still remember reading that Alex Garcia dreamed of someday owning a VW Passatt. I still remember reading about how Jon Gates and Dave Shulte’s yoyo tour van got broken into in Marseille, France. I dreamed of someday traveling the world and living their lives. It’s what I really wanted. I’d walk out to every recess with my shorts stuffed full of every yoyo I owned, and I’d spend all day practicing. I was addicted. I can totally relate to being absolutely obsessed with yoyos when first starting, for me I think it was a lot of “right place, right time” that led to me being able to practice for hours each day just for fun and it totally payed off. When did you start to get really good, and what were some of your favorite tricks early on? It actually took me an awfully long time to start getting good. I started getting noticeably good around the summer of 2003, so I’d already been yoyoing for about 5 years. My favorite tricks from back then are still my favorite tricks now – Breath, Kwijibo, Iron Whip, and Boingy Boing. Nice! I remember hearing that you went to Spindox meetings back then too right? Yes, I did! I think my first Spindox meeting was in 2000. What kind of yoyos were you throwing? Some of my favorite yoyos from back then are still some of my favorites: SuperYo Renegade (Original black, and later, the marble generations) and Bumblebee GT I threw back in 2000. 2003, I was throwing Freehand 1’s and the Night Moves 1 exclusively. I collected hundreds of spent friction stickers (“friction biscuits”) and used my Night Moves so much that I wore the starbursts off of the sides. That’s so awesome, such a different time as far as the yoyos go. Is there anything you specifically miss about back then that’s different now? I think, as with most hobbies or art, you definitely miss that magical feeling of being fresh and inexperienced, where everything seems so new. Lots of nostalgia for those early times. Many of my favorite players, tricks, and even memories date back to that first 4-5 years of throwing. When did you start competing, and when was your first 1st place win? My first contest was the 1999 US National Contest, Sport Ladder. My first freestyle was California State Contest 2002, and my first win was California State Contest 2003. How did you originally end up getting sponsored? I originally got sponsored in 2004, when Dave Bazan invited me to join Team Buzzon, the crew for the new company he was starting at the time. I’d met Dave earlier the year before at BAC 2003. Like every other year (and every other contest) beforehand, I had failed to pass the compulsory round. I had only gotten to freestyle once at that point. I was super bummed out about not making it in, but Dave saw me yoyoing and decided that there was enough time to let every single person freestyle. 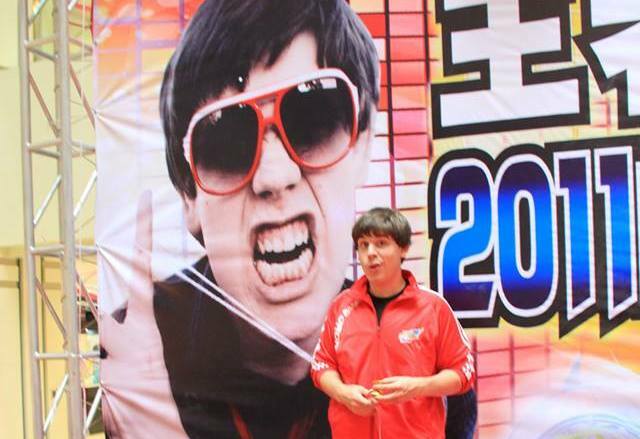 So that became my big break in professional yo-yoing, and I got to join Dave’s team the next year. It was a dream come true. I’ve never thrown any Buzz-On’s but I really like those kinds of throws that were popular then. With some signature throws under your belt, what are your favorite qualities in a yoyo and what is the process like in designing your own? I tend to prefer heavy yoyos (they slow me down) with minimalist design and clean contours. The first yoyo I’ve really had a hand in designing has been my new yoyo, the Electric Flash by C3YoyoDesign. Unfortunately, with my last sponsor, I didn’t have an opportunity to give input on my signature yoyos. With C3 though, it’s been great. I started with sending some weight, shape, diameter, and width preferences to C3. Then we mailed prototypes and emails back and forth between Hong Kong and the US, with me giving feedback on every new prototype. The whole process was pretty quick – around 3 months or less. I’m proud of the result. That sounds sweet, I would personally LOVE that opportunity and I think it would be cool to see everyone like a throw that is exactly what I like too. As a professional yoyoer that’s admired by many, who are some of YOUR favorite yoyoers? Oh man, I’ve got so many favorites. As far as contemporary 1A players go, my favorites are Riccardo Fraolini, Anthony Rojas, Charles Haycock, Isaac Sams, Janos Karancz, and Gentry Stein. I’m also a 5A player, but my favorite 5A players of all time is a short and easy list: Shingo Terada, Rafael Matsunaga, and Sterling Quinn. I pretty much love everything they do. Lastly, John Higby is a huge inspiration to me, both on and off stage. He was an early influence for me and still a huge one. Performing with him in Dubai was one of the best experiences of my life. Good call on Justin Weber and Kota Watanabe, those are two yoyoers that probably wouldn’t pop straight into my head but I would have to add to my list of favorite players too. We actually share almost all of the same favorites! Yes! From a trick standpoint, what are your some of you favorite elements to work into tricks? Probably my favorite elements are Eli hops, whips, and off-plane. I love the impact and immediacy of hops and whips. Off-plane/plane-bend I love because it’s flowy and beautiful and weird. Do you have any advice for any aspiring yoyoers out there? Yes I do! Absorb and digest as many different styles and trick concepts as you can. But most of all, stay true to your own style. It will make you memorable and take you from being good to being great. I agree, that’s advice that you’ve definitely followed. Thanks for taking the time to do this Augie, and good luck on your future endeavors! Former National YoYo Champion Augie Fash has been working on a new video for a while, but couldn’t quite get it to come together. But the tricks were just too damn good to scrap it, so instead of a full-length we get an EP. One of the hallmarks of Augie’s play has always been a degree of thoughtfulness that is sometimes hidden under his tremendous speed. With this video Augie slows it down a little, and we get a better look at how beautiful his tricks are when he isn’t showing us ten of them at once. C3YoYoDesign superstar Augie Fash rocks out his new signature yoyo, the Electric Flash, in his first full-length video since last year’s “Hometown Hero“. Augie is in top form here, and I got a chance to try his new yoyo at Nationals…and it’s a great throw! A perfect throw for his super-fast style, the Electric Flash and C3YoYoDesign are a solid fit for this new chapter in Augie’s yoyo career. C3YoYoDesign has unveiled the new signature model for C3 Team member and former National Champion, Augie Fash! Starting with Augie’s favorite C3 throw, the Trident, they increased the diameter and redesigned the weight distribution to Augie’s specs to make sure the yoyo felt solid but still played fast and smooth. Designed to handle front style, chopsticks, horizontal play, and pretty much everything else, Augie will be throwing these at the US National YoYo Contest this weekend, and have samples for people to try. 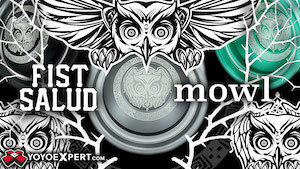 The first release will be Saturday, both at the YoYoExpert table and online at YoYoExpert.com. 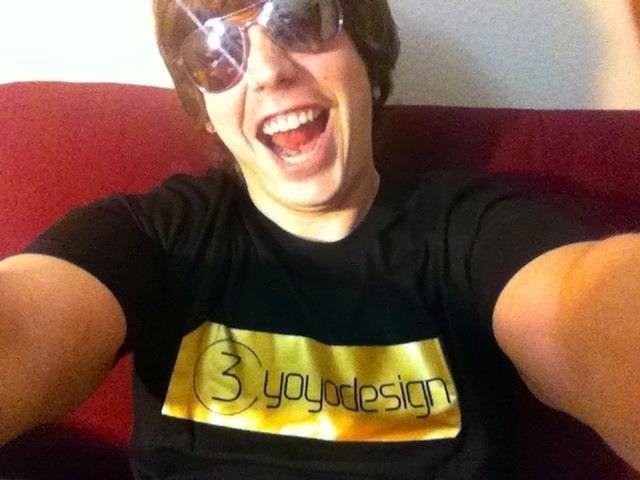 Should we congratulate Augie on landing C3YoYoDesign as a sponsor….or congratulate C3YoYoDesign on landing Augie as a player!? It’s too close to decide! 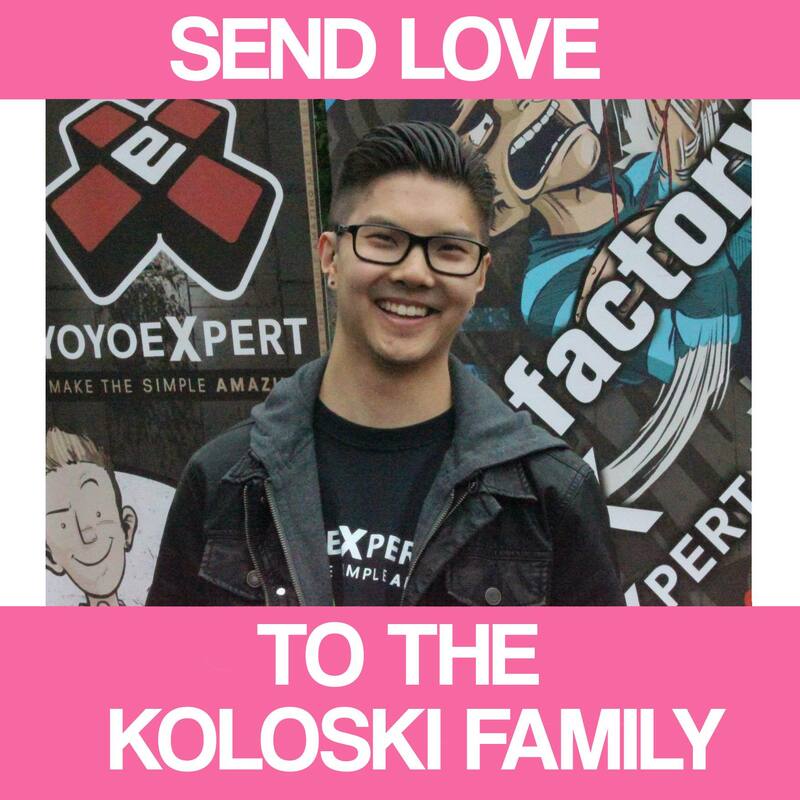 Congratulations to C3YoYoDesign and Augie Fash on finding each other, falling deeply in love, and pairing up to blow a massive pile of awesomeness into the universe!